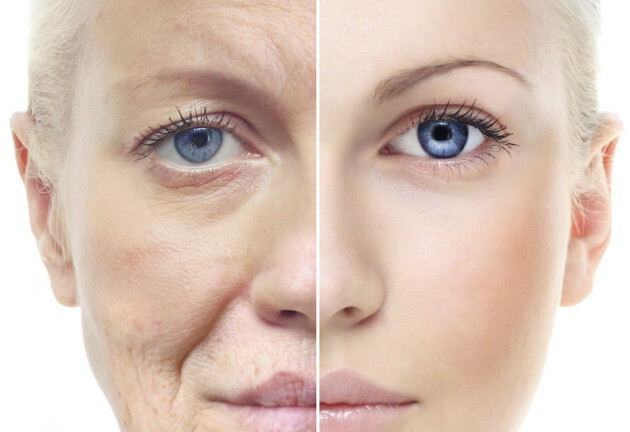 » Look 10 years younger with these 5 home remedies! Look 10 years younger with these 5 home remedies! For even better results, combine 1 teaspoon of lemon juice with half teaspoon of milk cream and 1 teaspoon of egg white. Mix all these ingredients and apply on the face; after 15 minutes, rinse with cold water. Lemon juice in combination with honey is also a very effective remedy for ageing skin because honey has a soothing action. Mix one teaspoon each of lemon juice and honey and massage it into your skin. Keep for 20 minutes and then wash with warm water. Here are some more remedies for ageing skin. Coconut is a treasure-trove of vitamins and minerals; it also has the ability to moisturise your skin and keep it soft, supple and radiantly young. Grate raw coconut and squeeze the milk out of it. Apply this coconut milk onto your face; stay for about 20 minutes and then rinse it out with warm water. Read here to know more on other beauty benefits of coconut. Rose water is a cleanser and can help remove the dirt clogging the pores of the skin. It also has an astringent action which means it tightens the skin; this helps it to give firmness and reduce the puffiness under the eyes. Mix 2 teaspoons of rose water with 3-4 drops of glycerine and half a teaspoon of lemon juice. Apply this mixture to your face using cotton ball every night before you go to bed. Here is how glycerine serves as a natural moisturiser. Or you can also make a face pack by mixing in a teaspoon of rose water into a mixture of 1 teaspoon each of curd and honey. Add this mixture into a mashed ripe banana; apply the pack to your face and after 20 minutes, wash it with cool water. Here are some more rose water face packs you could try out. Cucumber helps to reduce the puffiness and dark circles under the eyes; besides it also has a soothing action that keeps skin healthy. Curd contains lactic acid which has the property of exfoliating the dead cells of the skin and this helps to rejuvenate the skin. Prepare a face mask by mixing half-cup curd with two teaspoons of grated cucumber and apply this to the skin. After 20 minutes, rinse with warm water. Using this face pack about twice a week for a few months will help keep your skin healthy and young. Read here to know more on beauty benefits of cucumber. While the local application of a face pack can help prevent ageing, it is equally important to strengthen the skin from within by providing it the right nutrition. Vegetables, fruits, fish oils and nuts such as almond and walnut are valuable sources of antioxidants, vitamins, minerals and omega-3 fatty acids and help to keep your skin young and healthy. So make sure you eat a healthy, balanced diet and use the right nutrients on your skin and you don’t ever need to worry about leeches and snails on your skin. 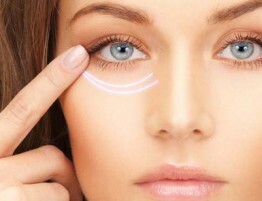 Dark discoloration of the skin under the eye is mainly referred to as dark circles…. Beauty is a light in the heart, at Mahi Skin Cosmedica, we believe in uncovering the perfection within your soul. Through our wide range of Cosmetology treatments we aim to satisfy all your beauty needs to let your confidence shine out.